*Linux runs on wine and requires additional configuration. Its the standard UDK.exe script that many game servers use. 1: Download and install the server files via Steam (Library > Tools). The game itself must also be installed on the machine you’ll be running it on. 3: In UDKGame\Config (“C:\Program Files (x86)\Steam\steamapps\common\chivalry_ded_server\UDKGame\Config”), open “PCServer-UDKGame.ini” in Notepad. Under the section [Engine.GameReplicationInfo], put your desired server name after “ServerName=”. Make sure to save your changes when you’re done. Its recommended that you make a copy of this before editing! 4.2: Change the text file extension from .txt to .bat (new name “Start Chivalry Server.bat”. If you do not see file extension you need to set windows to show them. (link opens in new window. 5: Double click the .bat file and you should first see a command prompt pop up with the text above, then after a few seconds a second (blank) command prompt looking window with the Chivalry icon should come up. Feel free to close the first one after the second comes up. 6.2: If your server is running properly it should plop you right on in shortly after hitting enter. 7: When people join (and maybe when they leave?) your server you should see a Log message in the server window that popped earlier. 8. To manage your server look at the RCON commands below. * export sets wine to run as 32 bit instead of 64bit as it crashes constantly in 64bit. Followed by the server’s admin password, allows you to log into a server as an admin. Gives a user’s SteamID. This SteamID is in hexadecimal; if you want to convert it to a normal Base 10 number, I’d recommend you use the Windows calculator (put it in Programmer mode, click Hex, paste in the value, and click Dec). Most hexadecimal-to-decimal converters on the web can’t handle the large values and will mess up at least the last two digits. Kicks a user and permanently bans them (i.e. puts their IP/NetID in the config file). Changes to a different map. Swaps a selected player to the opposite team. Not strictly an admin command, but for admins it shows the server’s tick rate, that is how many milliseconds the server is taking to render a single frame. Servers are set to run at 30Hz, so this should be at or below 33.33..
Prints damage amounts to the console for testing purposes. Affects all players on server. 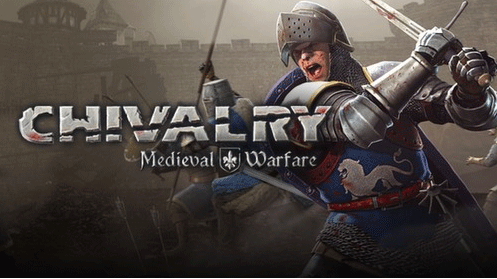 Gameservers.com offers Chivalry server hosting at excellent prices. They have datacenters worldwide and rank as the best GSP for gamers.